Browse the Google Play Store and you'll have no trouble finding a jewel-themed puzzle game. Or a game that features spaceships and aliens. But Galactic Hero may be the only game that combines the two. 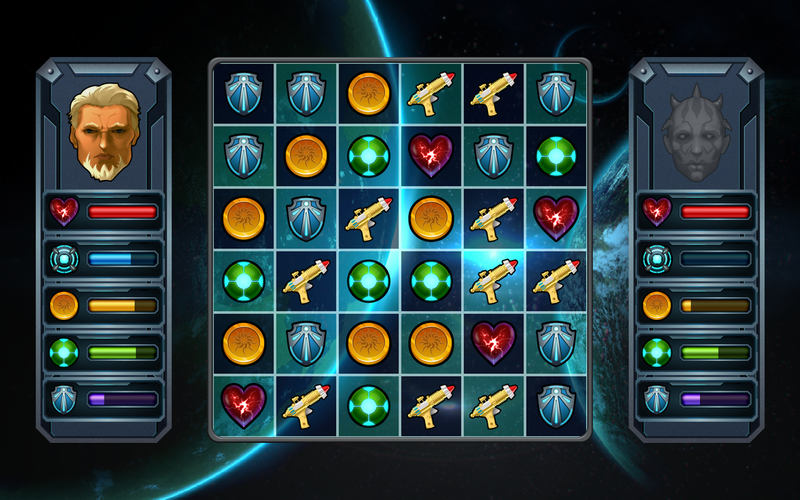 In this match 3 puzzle adventure, you are a guardian of a galaxy that's being invaded by alien assault ships. To thwart the attackers, you must match three or more gems, jewels and alien artifacts in a row. Early in the contest, the aliens aren't so smart and you'll win a few battles. But as you move deeper through space, your foes get more clever and you'll need to improve your strategy - and sharpen your aim. In addition to gem mining and matching, the game involves laser gun battles and high-speed races through space gates and portals. If you're successful, you'll earn the title of galactic war hero. Check out screen shots and a video in the Google Play Store.